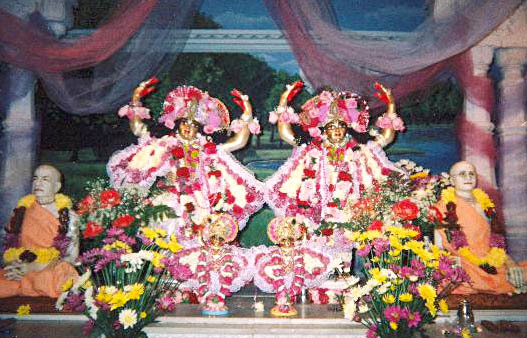 New Naimisaranya Forest, Miami, U.S.A.
"In all cases, Caitanya Mahaprabhu is the source of energy for all His devotees. Since this is the case, if we take shelter of Caitanya Mahaprabhu for the successful execution of Krsna consciousness, we are sure to make progress. One devotional song by Narottama dasa Thakura states: 'My dear Lord Caitanya, please have mercy upon me. There is no one who is as merciful as You. My plea is most urgent because Your mission is to deliver fallen souls, and no one is more fallen than I. I beg priority.'"